I hope you had a happy 4th of July! We had 5 days in a row of fireworks here, which is 5 days too many, if you ask me. I have a fun video to share with you today. 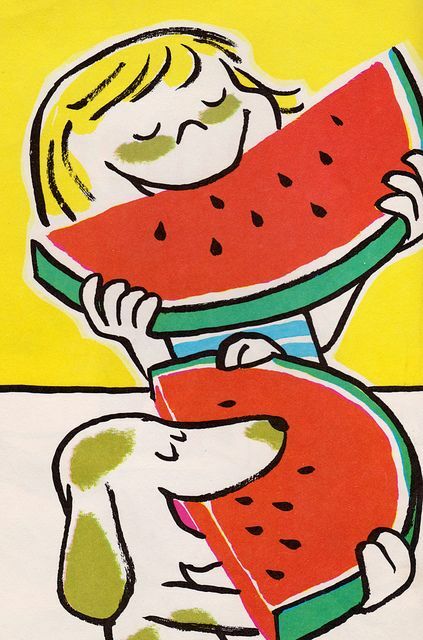 It features a little dachshund sharing some very delicious looking watermelon with her person. Doesn't that look like fun? I have had a little bite of watermelon before and I liked it. My Momma learned that it is safe in small amounts for dogs, with no seeds and with no rind. Here is a nice article about fruits and vegetables that dogs can - and can't - eat. It is from the AKC. I am very fond of bananas, carrots, and green beans. I get "no salt" green beans on top of my kibble every day. If you have a dog, what type of fruits or vegetables does he or she like? I would love to hear from you in the comments, below. Hoping you have a great weekend ahead! This is so precious! I wholeheartedly agree with the fireworks comment, I feel like they're never going to end. My baby girl Ava loves carrots and celery! My dads cat loves watermelon! ALways tries to steal it fromhim. Too funny! My dogs loves watermelon too. I gave all three some as a little treat after the last watermelon that I bought. Abby is the absolute sweetest and it sure looks like she enjoyed her watermelon treat. Much needed after all of those fireworks I'm sure! We actually only heard fireworks on one night and it didn't last very long! What a cute video! My dogs love just about every type of vegetable and fruit! I just saw a video that said a dog's chances of developing cancer decreases by 90% if just 10% of their diet consists of fresh veggies and fruit. This is cute. 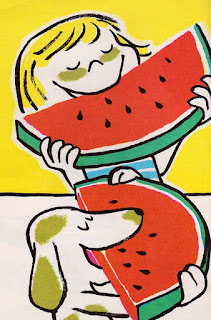 I've never seen a dog eat watermelon! My in laws dog is terrified of fireworks. My dog loves carrots, and my preschooler hates them. The two of them have a great deal worked out. She drops carrots, the dog eats them. I need to try watermelon! That is the cutest video I've seen all day. Watermelon is soo good! Bahaha, that is is SO cute! I can totally see doing this with my pup :) Thanks for sharing that list, too--very important for people to know about. Our fur baby loves carrots and tofu. He does not like fruit, or anything sweet for that matter. I am going to check out the link you posted about what dogs can and can't eat. I don't like to feed my dog something that would be detrimental to is health. Thank you so much for all your comments! 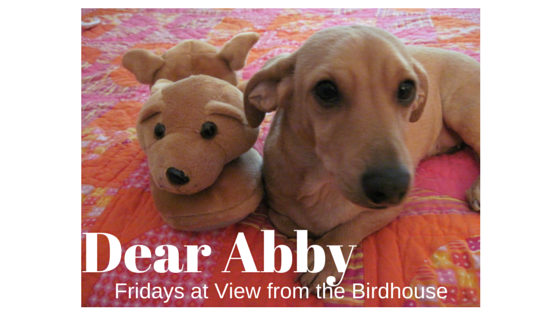 I loved reading about your pets and what they like to eat as well.